Lithuanian President Dalia Grybauskaitė has vetoed amendments to the law on party funding and budget corrections giving the government the opportunity to borrow funds to finance unelected parliamentary parties. The amendments would have paved the way for the Social Democratic Labor Party of Lithuania (LSDDP), which was established after the last general election, to get a state subsidy. The president believes political parties have the right to receive funding but that should be done not by borrowing but by planning funds for that in the next year's budget, Mindaugas Lingė, presidential adviser on internal policy issues, told journalists on Friday. In his words, under the president's proposal, the amendments to the party funding law with her proposed corrections would come into force in January and not from the day of signing as the ruling parties wanted. 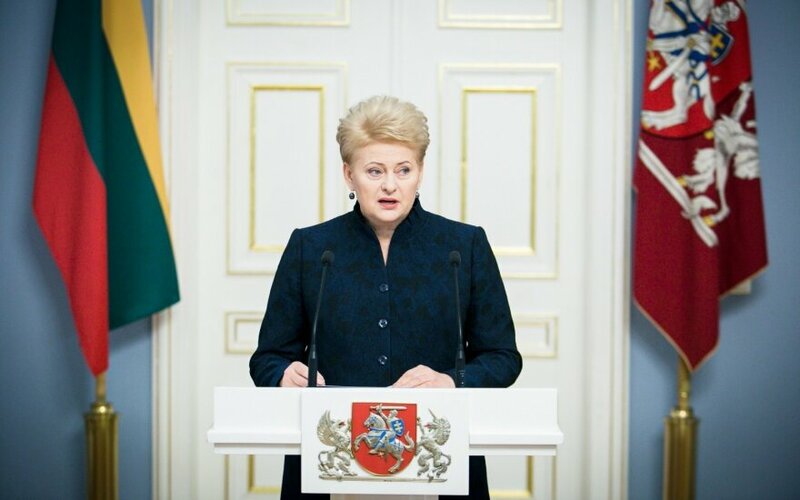 Grybauskaitė is also against draft budget amendments merging possibilities to borrow for both increased defense spending and also for the LSDDP subsidy, saying that "defense needs cannot become hostage to party funding". LSDDP was founded earlier this year by a group of former members of the Social Democratic Party of Lithuania, who split from the party last year, and currently does not receive any state subsidy. Prime Minister Saulius Skvernelis says the party is eligible to over 200,000 euros. Grybauskaitė also proposes renouncing plans to lift the so-called voters' percentage threshold as it would allow all 22 registered political parties to receive state subsidies. According to the president, it would mean that taxpayers' money would be given "even to one-day political formations". Currently, only political parties which received at least 3 percent of votes in the past general, municipal and EP elections receive state subsidies. The president proposed keeping the existing threshold but lower it from 3 to 2 percent. More parties would be able to get state subsidies in that case.